and unfortunately Lux reminded me on the phone on Sunday to pack my cossie, which means I'll have no excuse not to go to North Boulder Rec swimming pool with her and Cece. Oh, the things we do for our beloved grandchildren, that we would do for nobody else. How do you feel about packing? I find it hugely difficult because of indecision. How many shoes? How many woollies, and which? How many pairs of jeans? Which of my two posh options for going out on the town? An essential item is my joggers for snuggling up on the sofa with the girls when we watch the telly. And on the subject of clothes....I have a question for my female readers. I don't agree AT ALL. I'd say that 80% of my decisions about clothes revolve around whether I love the look of them, whether they suit me, whether they are flattering, and whether or not they're modern. 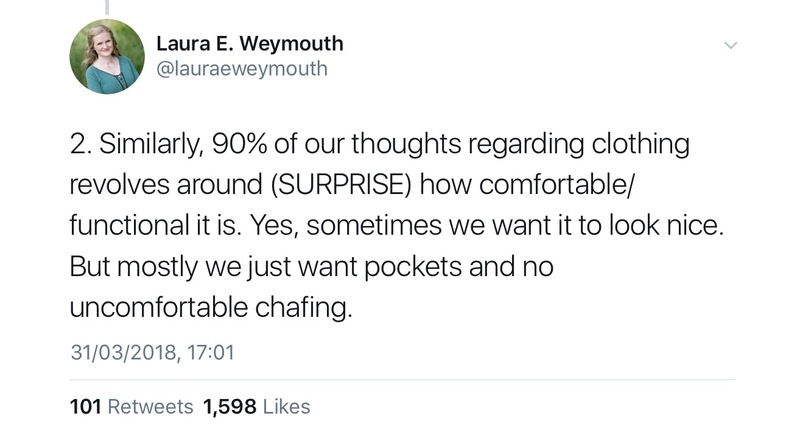 The other 20% might be about comfort, and while pockets are useful if they don't spoil the line, they don't come into any decision about whether or not to buy an item. I mean, really! What's your view? It reminds me of that question some of us used to think about when we were young: Would you rather be clever, beautiful or good? I have a new question: Would you rather be comfortable, beautiful or stylish? Hi Jenetta, a very practical list. Thanks! Now I need to figure which clothes to take - the hardest bit. Ok packing is a whole different deal and I was scarred deeply by the fact that for many years I spent most of the year on a small island off the west african coast and what I had not packed in my case could not be had. So I am an over packer of note. As to choosing what to wear: vanity mostly prevails. 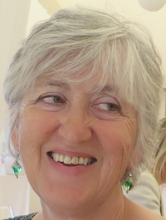 I also do no not want to look dated ( little old lady look!!?) . But on holidays in the wilderness vanity does bite the dust in favour of comfort and being cool, that is to say not hot! Aha! Another member of our specific 'sub-cultural' group. Oh, the dread of looking like an old lady. Yesterday I had a scarlet patch dyed into my white/grey hair and I love it. I just wish I'd had all over streaks, now. Cece and Lux will love it even so. I think most women are interested in how they look. In my opinion that researcher is just plain wrong. Purple patch in your hair is a great idea. Re packing - always an ordeal that never gets any easier. Why is that? Re the male writer - the one cited may be crass but I can't say all male writers lack that skill, even when a book as a whole overly reflects the male pov. Hi Phebe! I agree about male writers. It was very 'cheap' fiction that was cited. But the surprising thing was this: the number of responses agreeing with the women's tweet I quote in my post. 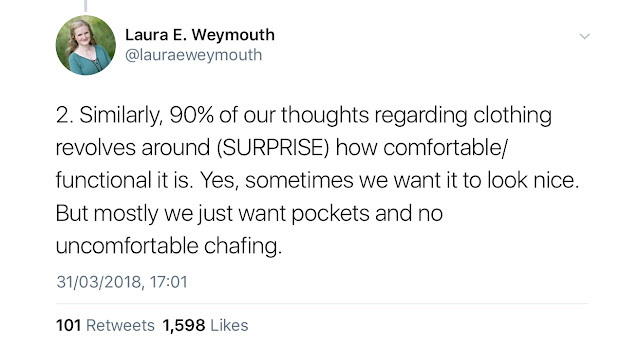 Because of this I contacted my researche friend and asked her what she'd found and she said she too was surprised how many older women cited comfort as the most important feature if clothes. I was astonished. There's no need to apologise, Jenetta! I am always pleased to get your comments however they come.